Petra is always appearing on top travel lists – the top ten places to see in your lifetime, the new seven wonders of the world. 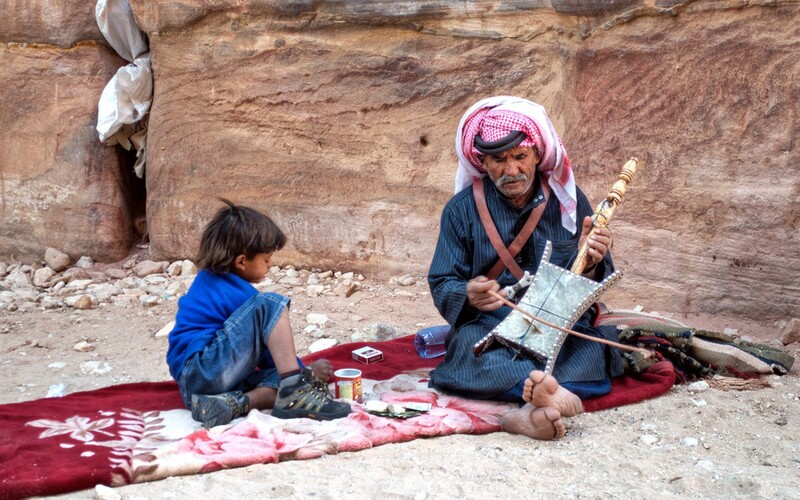 But unlike some places which feature on those lists, Jordan is actually fairly easy and not too expensive to visit. There’s accommodation which ranges from tented camps to five-star resorts, there’s good public transport or it’s simple to drive yourself around, it’s safe and the people are incredibly friendly and welcoming. So if you want to visit Petra, which is the best way to do it? While there are plenty of companies offering organised tours, it’s also an easy place to visit independently. 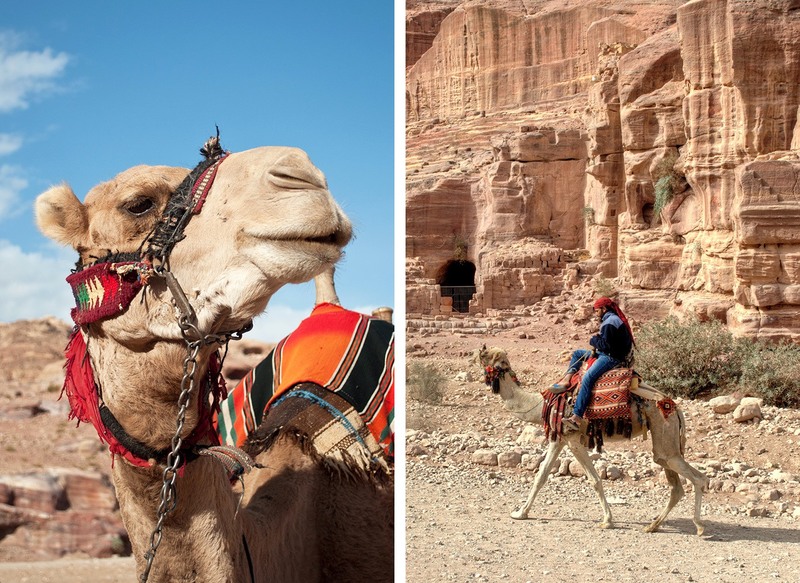 Here’s everything you need to know before you visit Petra – including how to get there, the closest hotels, the best times to visit, and even the best places for a drink after a long day exploring. A whole town – Wadi Musa – has grown up around Petra. The town has hotels of all types and budgets, which start right next to visitor’s centre and stretch up into the hills. Closest to the entrance is the four- star Petra Guest House, which is right next door to the visitor’s centre. The five-star Mövenpick Resort is just across the street and has a roof terrace with amazing views. Though if you have a car then the hotels a bit further away up on the hillside, like the Rocky Mountain Hotel where we stayed, are good value and come with stunning views. 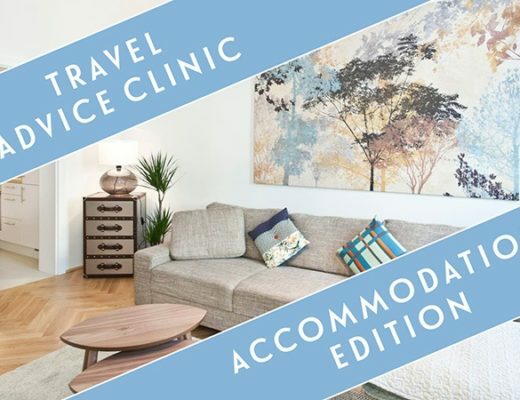 Looking for somewhere to stay in Wadi Musa? 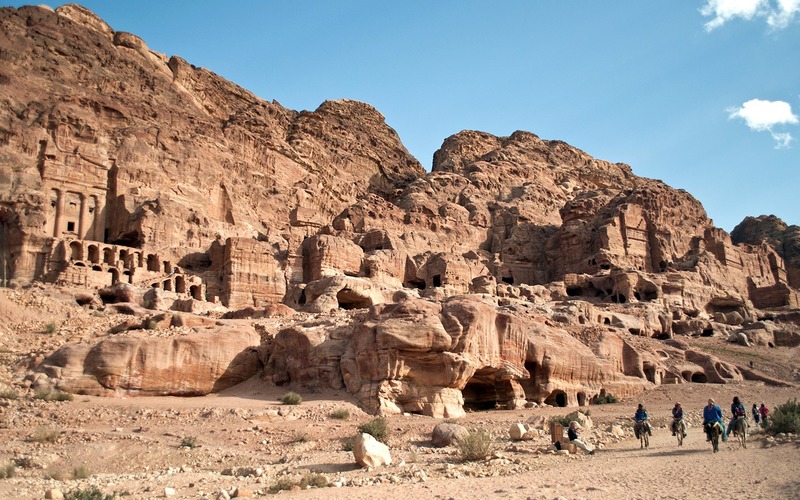 If you’re staying in the centre of Wadi Musa, then Petra is just a short walk away. Or the hotels further out often run a free shuttle down to the visitor’s centre a couple of times a day, though it does mean you’re limited to fixed times. Otherwise there are plenty of taxis waiting outside the visitor’s centre, especially in the afternoons, and you’ll pay about JD5 within Wadi Musa. If you are driving to Petra, it’s 236km (around 3 hours) from Amman to Petra via the faster Desert Highway or 255km (4.5 hours) via the slower but more scenic King’s Highway. From Aqaba to Petra it’s a 126km drive (2 hours). There’s a free car park in Petra opposite the bus stop just in front of the Petra Moon hotel. This bus stop is also where you can catch the JETT buses to Amman and Aqaba if you’re travelling around Jordan by public transport. How much do tickets for Petra cost? Petra is one of those places where the longer you stay the better value it is. A one-day ticket for Petra costs JD50 (about £50/$70) per person, but a two-day ticket is only JD55 and a three-day ticket is JD60. These are the prices that apply if you are staying in Jordan; if you’re on a day trip and not staying in the country overnight then the price is JD90 (though in practice you aren’t usually asked to prove you’re staying unless you’re travelling on a group tour). Children under 15 get free entry. You can buy tickets at the visitor’s centre by cash or credit card. You can also pick up maps, guide books and hire a guide (JD50–100). If you’re visiting other sites in Jordan, you can get a Jordan Pass which includes entry to Petra plus 40 other sites around the country, including Jesash, Amman Citadel and Wadi Rum. The passes costs JD70 for one day entry to Petra, JD75 for two days or JD80 for three days, and you can buy them online. When is the best time to visit Petra? The best time to visit Petra is during the spring and autumn months as temperatures aren’t so high and the crowds are smaller. The ticket office is normally open from 6am to 6pm in the summer and from 6am to 4pm during the winter, and Petra closes around sunset. The quietest times at the site are usually in the early mornings and late afternoons. The site is also open at night on Mondays, Wednesdays and Thursdays when the Siq and Treasury are lit by candles for the Petra by night tour. Tickets cost JD17 (£17/$24) and the tour starts at 8.30pm and finishes about 10.30pm. It’s really popular so I’d recommend hanging back so you can walk down slowly and experience the Siq away from the scrum of visitors. You’ll be walking over sandy and rocky ground so walking shoes (or sturdy sandals if you don’t mind picking the odd stone out) are the best bet. There’s hardly any shade around the site, so a hat or scarf is a good idea too, and don’t forget plenty of sunscreen. You see people wandering around Petra in all sorts of clothes – from full-on hiking gear to vests and shorts, and I even saw one women in an evening dress and heels – but I felt happier covered up with a long-sleeved cotton top and trousers (though it helped that it wasn’t too hot when I visited in November). 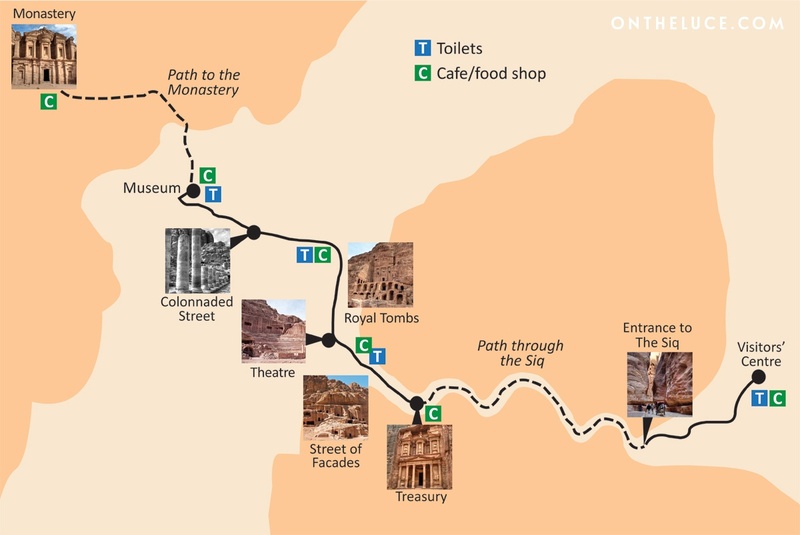 Petra stretches over a massive 60 square kilometres so you’ll end up doing a lot of walking. But if it gets too much then there are camels, donkeys and horses to do the hard work for you. A carriage ride from the visitor’s centre to the Treasury costs around JD20 (£20/$28). It’s an easy 15-minute walk downhill though so you might want to save the ride till the way back up as that final slog up the sandy path back to the entrance after a day’s walking is a bit of a killer. There are donkey and camel handlers all around the site if you want a lift at any other time. The donkeys up to the Monastery and for the hour’s walk from the old city to the Siq at the end of the day are the busiest, but there are plenty of them around so you should be able to negotiate on the price. There have been reports of some handlers mistreating their animals so do be aware of this and check that they look healthy and well-cared-for. Can I get food and drink at Petra? Most of the hotels in Petra will make you a packed lunch if you ask the night before, and there is a line of stalls outside the entrance where you can pick up drinks and snacks like chocolate and crisps on your way in. Prices inside the site are higher so it’s worth stocking before you go in. Bottled water is widely available at stalls in and out of the site, but it’s a good idea to bring a refillable water bottle with a purification system so you can fill up with tap water. There’s a mixture of places to eat and drink inside Petra, from Bedouin tea stalls and simple kiosks to cafés, and there’s even a full restaurant near the museum called The Basin where you can have a buffet lunch and bottle of wine (you might need a camel to carry you after!). What else should I know about visiting Petra? Petra’s surprisingly well-equipped with toilets, with toilet blocks at the visitor’s centre, near the Theatre and the museum. There are also portaloos at the start of the Siq and at a couple of cafés. There are souvenir stalls all over Petra (with some pushy sellers) but one worth a stop is a jewellery stall by the museum run by New Zealander Marguerite van Geldermalsen. She came to Jordan as a backpacker in the 1970s and ended up staying and marrying a Bedouin who lived in a cave in Petra. She’s written a book about her experiences called Married To A Bedouin. And finally, if you’re in need of a drink after a long day of walking, some of the nicest places to stop at on the way out are the Movenpick Hotel’s Arabian-style bar or the Cave Bar by the Petra Guest House – a 2000-year-old Nabataean tomb which has been turned into a bar. A lot of good advice that I will remember! Thanks Andrew, hope it comes in useful for you someday. HI, Im in Jordan now and planning to visit Petra from Zarqa. By the way, do you know how much it costs for Jordanian for staying a night? Because I’ll go there with my Jordanian friend and she thinks it’ll be epensive. Great advice! I can not wait to visit there one day – you blog is fantastic! Thanks for visiting, and good luck with your new site and travels around Asia! Thanks Suzanne, I absorbed so many articles and so much info I thought I’d put it to use! Thanks Madhu, I ended up carrying a few different maps as none of them had everything on, so I thought I’d try and draw my own version! Now is a great time to visit as tourism is down due to the drama in the neighboring countries. Petra is my favorite of the ancient wonders, in part because there are some great hikes among the ruins that allow you to escape the crowds. Very true, I think a lot of people have been put off visiting but Jordan seemed perfectly safe to me and it would be a shame for people to miss out on seeing Petra. Great advice. We went with a tour group that left from Dahab, Egypt. After about 10 minutes with the group we decided to leave and explore on our own. So glad we did. The group didn’t even make it to the monastery. Petra is such a beautiful place and everyone should go in their lifetime. Definitely – it’s so much better to be able to escape and go and explore on your own. If you can, try to do the climb above the Royal Tombs to get the view of the Treasury from above. The climb was pretty tough but I made it to the first plateau in about 30mins (where the small hut is) there may be a Bedouin guy named Fawaz, he ivited me for tea which I did on my way back. To the left of his cave/hut is a path down to a hidden valley and you get a great view of the Al-Khazneh. My favourite part so far. I was a solo female and felt fine being there, passed about 3 Bedouin on my way all offered me horse/mule ride but were not pushy, offered me help “on the way bacK” if I needed… definitely do it if you can!! That was one of the walks we would’ve liked to have done but ran out of time, I’ve seen some great photos from there though. Thanks for the tips! Great tips Lucy! Jordan is so high on my bucket list – I hope to be putting your tips to great use! Hope you get to make it out there soon, sure you’ll love it! Lucy your post is really fantastic and Petra is one of the place I should visit. Thank you for all your suggestions, sorry for my English. Thanks Bea, Petra is such a dream destination isn’t it? I spent only a day at Petra but just loved it. It was a very slow day, not long after the missile strikes in Israel last year, so many travelers had canceled their plans (including two of our small group). We had the place just about to ourselves. It was cold, so we enjoyed hot peppermint tea in the Bedouin cave that’s on the main track. My friend bought some of the metal and bead jewelry from a Bedouin kid. (Good salesperson…he found the big spender in our group!) You must visit the restroom (modern) on the main track. It is built into a cave and had the most gorgeous natural stone ceiling with waves of colored veins in the rock. Because the crowds were small, the cart drivers were anxious for riders. We were glad to accommodate, and it was a blast. They raced through the Siq, sometimes playing daredevil with other drivers. It’s a hold-your-nose experience, but well worth the fun. We laughed the whole way down to the Treasury. I’d love to go to Jordan again and spend more time…especially at Petra and Jerash…and a few other places, too. I wrote about Petra on my blog. Petra is such a fascinating place, I’m so glad I made the trip out there. We were there a little later than you I think and it was still fairly quiet but I hear it can get very overrun in peak season. Nice to be able to soak it all up without being too packed and rushed! This is brilliant information! Thank you! I am planning on visiting next month! Thanks – hope you have a fantastic trip and hope it comes in useful! Thank you! Look forward to reliving ancient History! Hi Lucy, Love your blog and your passion for travel & adventure! My husband and I just came across your article on Petra (we are planning a 2 day trip to the site) and we were SO IMPRESSED by all of your notes & travel tips. 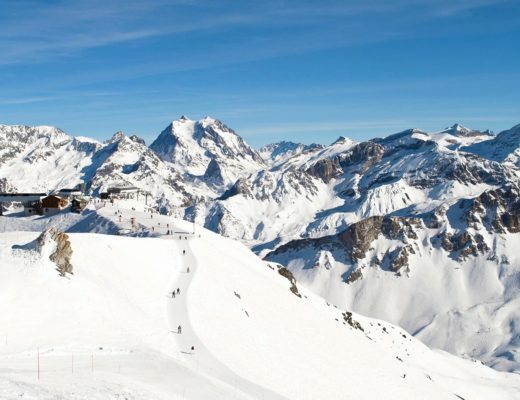 Many thanks for sharing and I hope that you have a very exciting trip planned for 2014. Hi Katie, so glad to hear that the article was useful to you! Hope you have a fantastic trip to Petra, it’s a really amazing place. Lucy – is end of February a bad time to go (weather wise)? Thank you! Hi Cory, we were there in mid-November which should have similar conditions to late February – generally it was sunny and dry when we were there, warm in the sun (18-20 degrees) but cool in the shade and can get cold at night. We had one cloudy day with some spot of rain but it’s generally quite dry. So glad that it has come in useful! We did two days and managed to see most of the things we wanted too, so I would imagine that especially with your long second day then two days should be enough for you too. Have a great trip! When I was in Petra I saw two cases of animal cruelty there with the donkeys. One was chained by an extremely short chain to a fence and whipped and yelled at for no reason as he stood there. He was just standing there chained up (meaning, not trying to be moved). The other was left in the sun with a tight plastic muzzle over his mouth for 9 hours! I was there. He couldn’t move and was there in the sun with no water or shade for 9 hours. It really altered my opinion of Petra. Fellow tourists, please report mistreatment of donkeys to the Petra Archaelogical Park and Heritage Society. They want to hear from tourists visiting Petra about any signs of crutely toward the donkeys working there (neglect, excessive whipping, hitting, punching, leaving in the sun for long periods). That sounds terrible – we didn’t see anything that bad but there were a few boys whipping their donkeys. Thanks for the tip about contacting the Petra Archaelogical Park and Heritage Society, very useful for people to know. Thanks for this post! I’m from D.C. but I will be in Italy in June and I would really love to go visit Petra. I have to work during weekdays but I’m free on the weekends. Do you have any advice/travel tips for me so I can go see Petra? Thank you in advance. 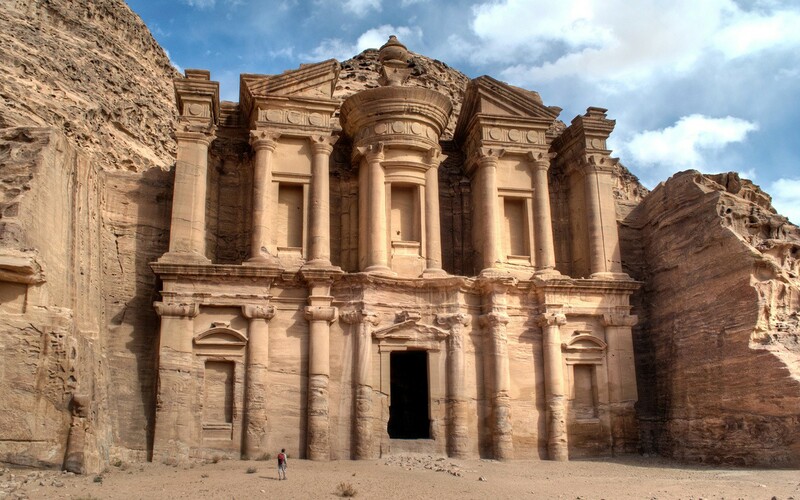 Hi Mary, Petra should be just doable in a weekend if you don’t mind a lot of travel – you can even do a day tour from Amman, though I would recommend staying overnight if you can to see a bit more. So you could arrive in Amman Friday night, travel to Petra on Saturday morning (about 3-4 hours) and spend the afternoon there, then have Sunday morning at Petra before heading to Amman for your flight back. Hope that helps! Good read! I loved Petra, one of the fun parts of the day for me was the bedouins in particular the ones who tried to get me to ride one of the donkeys up to the monastery. They had funny sales lines like “it’s a desert ferrari” and “donkey comes with airconditioning”. Thanks – yes they definitely have a great banter going on! Great advice Lucy! Will definitely bookmark this for when I finally get the chance to go there! Thanks Aggy, it’s a fascinating place, hope you do get to visit sometime! Very helpful. I don’t have any set plans yet, but do hope to visit Petra sometime, so a first-timers guide is perfect for me. The book by Marguerite van Geldermalsen might be very interesting – I’ll have to check into that. Thanks for the tip about her and her shop. 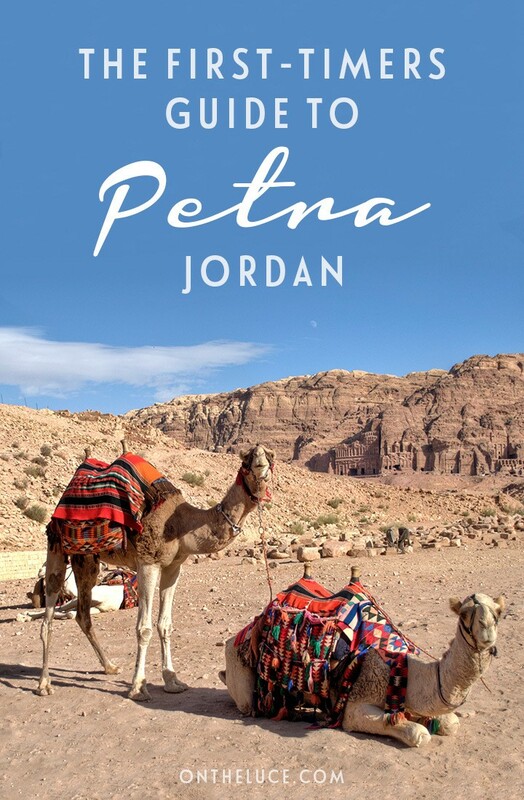 You’re welcome Cathy, Marguerite van Geldermalsen’s book is really interesting, gives a very different perspective on Petra and Jordan. First off, FAB blog. love it. I’m a travel junkie just like you! Im going in june (its ok I absolutely LOVE the heat) and I’m just curious about how much time you feel is enough? I’m planning on 2.5 days in petra (first day leaving early AM a bedo camp in Wadi Rum) and as well as petra by night one of the nights. with leaving early AM from wadi rum which is around 1.5 hours or so id get there as soon as i can and then that leaves me two full days at petra before I’m off to a resort on the dead sea. Because you have been there, done that, i was wondering if you think that the 2.5ish days I’ve allocated to Petra would be sufficient. Im a huge travel junkie (36 countries and counting) and I rarely can convince myself to visit a place twice (with few exceptions) and I just want to get your opinion on if you think id be able to cover all the ground I need to! Also, you mentioned you stayed at the rocket mountain hostel/hotel….its currently my top choice, would you recommend it? Hi, yes I’d say 2.5 days in Petra should be enough – I did two days and managed to see all the main sites, and with a bit of extra time you could add in some of the hikes too. If you get there early it shouldn’t be too hot and you can miss some of the worst of the crowds. The Rocky Mountain Hostel was great – very good value, rooms were simple but have everything you need and the roof terrace and balcony were fabulous, we had a great meal there too. Hope you have a fantastic trip! I love your blog thank you. Hi, I too enjoyed Petra so much,that I am going back next May. I noticed our entry ticket was a day and night ticket. Can you stay in there overnight or just visit at night? I don’t believe you can stay overnight and the night-time tour was a separate trip with an extra cost when I was there, so that’s quite strange – maybe it means day/evening? Hi. Great blog and great tips for Petra. 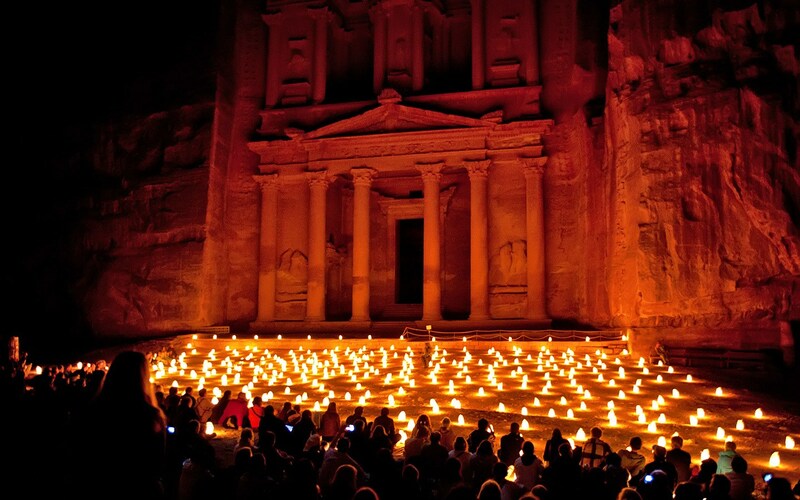 I am thinking to visit Petra in the beginning of July. I know that is too hot, right? And do you think that one day is too much to visit Amman? I am thinking to do a 3 day trip. Arrive on thursday visit Amman and maybe in the same day travel to Petra. So i would have friday and saturday morning to visit Petra. Do you think that is enough? Hi, yes it’ll definitely be hot then! It’s probably be a good idea to get up early and look around the site when it opens, then avoid the hottest part of the day and come back later on. One and a half days should be enough to see the main sites of Petra. Hope you have a great time! Thanks so much, hope you have a great trip! Thank you for sharing the map, it really helps me a lot in understanding the sites. Petra is in my bucket list. You’re welcome! I found it a bit hard to get my head around what was where before I went so hope it helps. Hi Lucy, Your blog on Petra is of immense help. I am trying to put together a trip to Petra. I have few questions? Did you book a private vehicle from Amman and drove all the way to Petra or took local vehicle from the hotel to move between Petra, Wadi rum and Amman? The site guides should we take from travel agent or get one from the tourist center? Could you share which travel agent you used in Jordan? Hi Rinki, I didn’t use a travel agent at all but booked everything myself. We hired a car from the airport in Amman and drove all the way to Petra (the roads were good and it took about 6 hours via the scenic Kings Highway but it about 4 hours on the more direct Desert Highway). We booked our car in advance through Sixt but there are lots of car hire companies there. If you want to hire a guide in any of the sites there are guides at the tourist centre, or you can pre book a tour with a company like Viatour. Hope you have a great trip! Great information on Petra, thank you so much. Love the map! That’s great – hope you have a fantastic trip! Was in Petra in November 2014. I also saw very bad cases of animal abuse (donkeys being electrocuted with tazers, exhausted horses having to race up and down the site, very young children beating animals) Despite the beauty of the site I felt sicknened by the cruelty and the greed of the locals. Petra should be seen but I will avoid any animal ride. Thanks for the update, things didn’t seem so bad (at least visibly) when I was there but it sounds like they have got worse and that people would be best avoiding the animal rides. I’m updating this article soon so will add a note to warn people. I am thinking of visiting Petra in February. Will it be a good time? Hi Kumar, I visited in November which should have similar temperatures to February – generally it was sunny and dry when we were there, warm in the sun (18-20 degrees) but cool in the shade and cold at night. We had one cloudy day with some spots of rain but it’s quite a dry region. I will be attending an event at Beit Zaman Hotel in Petra but I got confused as google map is showing the hotel in two opposite location – one close to the treasury and the other one near the al-Anbat Hotel. Do you know which one is the correct location for it? However, as Beit Zaman is expensive and I just need a backpacker-level lodging, can you advice if staying at a hotel like the Cleopatra would allow me an easy walk to the Beit Zaman, and equally to the Old Petra, or not? Thanks Sarah, yes I was surprised how developed the area is – but I guess it’s one of the world’s most spectacular sights! Hope you get to make the trip out there someday. Hi Lucy, we have booked to go to Petra in August 2015 which will be very hot! If we buy a two day ticket can we go to the site early each day and later on each day? Do we need a guide or is it obvious where to go? We aren’t into anything too adventurous , would just like to see the main sites. When you get to the end of the main trail, we presume you have to walk all the way back – no taxis to take you back?!!!! Hi Marion, yes if you have the two-day ticket you can come and go as much as you like. In August it’s definitely a good idea to go early in the morning then avoid the worst of the heat and go back again in the afternoon. There are lots of guides available but I didn’t use one – if you have a good guidebook it’s easy to see the main sites. There are no vehicles within the site but if you get to the end and can’t face the walk back there are plenty of donkeys and camels available! Hope you have a great trip. As you said, this is so on my list of places to visit! Your guide advice will be thankfully used! That’s great – hope you get to make the trip sometime soon! It’s a really magical place! Could approximate distances be added to the map? I have difficulty walking so need to know what I’m getting into. Thanks. Love all this infol. Thanks so much – hope it comes in useful and enjoy Petra! I love this article. Really you described it very well. Thanks for the post..! Thanks for a great article Lucy. I’m just planning my visit now for May. Could you tell me how long it would take to visit the Monastery on day 2 from the Visitor’s Centre at the entrance? Day 1 will be visiting everything up to the museum. Could we ride donkeys as far as the museum on day 2 and then walk up to the Monastery or would you recommend another alternative? Any help you can provide would be so great! Petra is there for ever. I went there last year from Aqaba to Petra by a private car and a driver it is only 3 hours in a very nice scenic road trough the kings high way. Petra is a must see place. 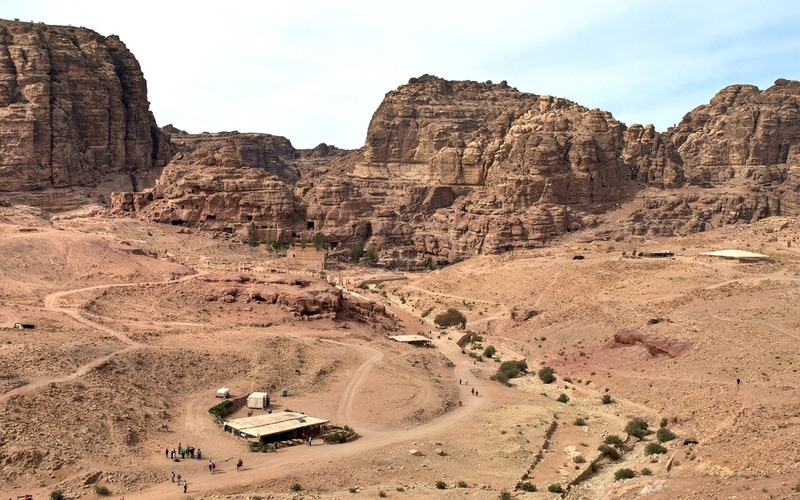 Petra is a fantastic place to visit – really enjoyed travelling the King’s Highway too. Would you be able to give me your contact for the private car and driver. 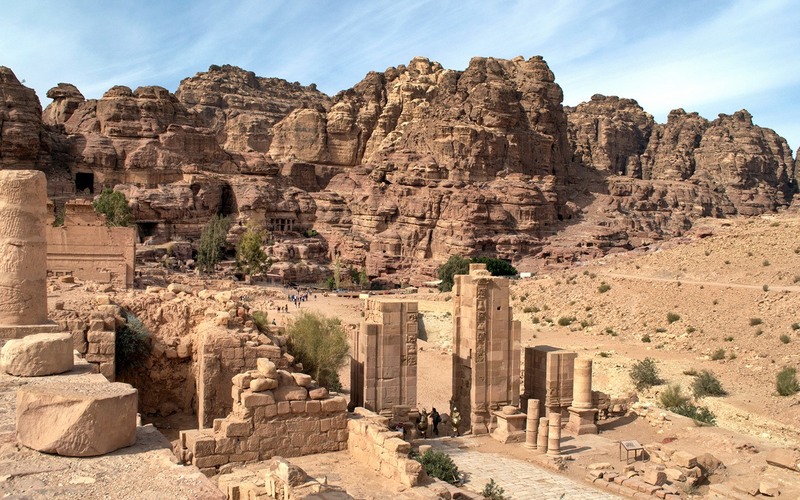 Will be visiting Petra in Oct.
We arrive just after midnight at amm after flight from Ca what does one recommend go direct to Petra or….. Transport choice at that hour? 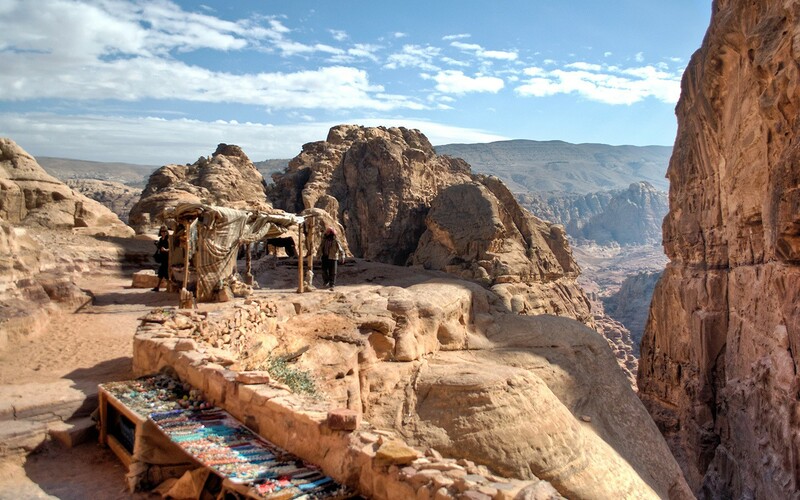 Also anyone know how we get from Petra to go to Eilat via borders transport options $$? I love your blog. Its very useful! WOuld you be able to recommend a driver. We are looking for one for my 5 days visits to Petra in October. Flying in from New York to Amman. These are good tips! I didn’t rent a car while I was in Jordan but will keep these in mind since I definitely want to return there with my daughter. Hi Lucy, my friend and I are visit petra this coming Monday. We only have one full day and land in Amman Sunday evening. Would you suggest hiring a car and driving straight to petra Sunday night? Also is it possible to fit the dead sea and sightseeing in Petra into ine day? Hi Sioned, if you are really pushed for time then yes it’s probably best to get a car and drive straight down to Petra, that way you can be there for when it opens and see as much as possible. The main highway is much quicker, but if you want to check out the Dead Sea then you can come back along the King’s Highway and make a quick stop if you have time. Have a great trip! This is our first time in Jordan. Ive not yet booked hotel in Amman and was thinking whether it will be better to stay in Petra hotels instead. Since i am traveling with my wife who will not be willing to walk more than one km. so i was thinking to drive from Amman and stay at one of the hotels at Petra to sea as much as possible. Hi Ehsan, Petra’s covers a big area so I think it would be a good idea to stay as close as possible to the entrance to the site (also Amman is around 3 hours from Petra so if you’re coming for a day it’s going to be a very early start). There are horses and carriages to take you down to the Treasury and then camels and donkeys for the rest of the site too so it’s possible to cover quite a bit of ground even if you don’t want to walk far. Have a fantastic time, it’s an amazing place! Do you recommend hiring a guide? Or am I better off buying a Lonely Planet book and just explore myself? I typically like to do off the beaten path stuff and away from group. But not sure if I would get lost in Petra if I go hiking on my own? Hi, if you are sticking to the main trails then you should be fine with a guidebook but if you want to go properly off the beaten track then a guide would probably be a good idea – it’s such a big area that they should be able to advise you as to the best parts to see too. Hope you have a great trip. The best place to exchange money in Petra? Sorry afraid I’m not sure (I changed mine in Amman) but there are a couple of ATMs in Wadi Musa. hey Lucy.. i was wondering.. the one day ticket only applies from 6am to 6pm is it ??? what about nite at petra do I have to buy another ticket for that or shut I just buy a 2 days tickets and that will cover up till late nite ?? 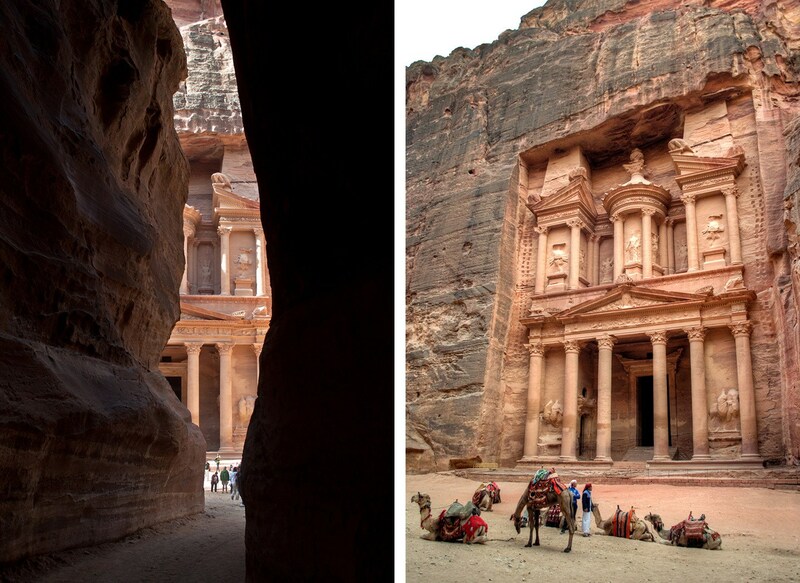 How much does it cost to visit petra if you are only there for the day? I’m trying to figure out if the jordan pass is worth it for me, given that even with it, i’d be charged 40JD on leaving Jordan. Yes if you are just in Jordan for the day and not staying overnight the cost is JD 90 versus 50 if you are staying at least one night – I’m not sure how rigorously this is enforced though, it seemed to mainly large tour groups who were asked when we were there. Hi Lucy, great insights. Tks very much. A quick one. Im travelling to Jordan with my wife and 2 boys – 9 and 11. We will be in Amman for 2 nights and then plan to travel to Petra and on to Wadi Rum. We planned to spend an entire day in Petra. Would you recommend we travel the night before to Petra. Also should we stay in Wadi Musa or Petra and start early for the Petra walk say around 7.30 am post breakfast. Does that make sense ? Hi there, yes I think it’s a good idea to stay overnight so you can get into Petra early (especially if you’re travelling in the summer as it can get very hot in the middle of the day and there isn’t much shade). Many of the main Wadi Musa hotels are within easy walking distance from the entrance of Petra so you’d be able to get in at 7.30am before it gets too busy. Have a great time! Thank you very much for the info! The map is a wonderful touch, you always bring so much insight! Thanks so much – I do love a map! Hi Lucy, am planning a trip next month. I would like to do Petra, staying in Wadi Musa for the nite. I would like to do a couple of nites in bubble camp tents in Wadi Rum. Also interested in staying in a resort near the Black Sea such as the Kempinski Hotel Ishtar Dead Sea on Sweimeh Dead Sea Road, 18186 Sowayma, Jordan for a nite or two and lastly Jerusalem. I can’t decide if it’s easier to start by flying into Tel Aviv and visiting Jerusalem first or if I should fly into Amman first and fly out of Tel Aviv.Am not familiar at all with the area. I can tell by the maps clearly where every place I want to visit is located. Just need insight if I should do Israel first or Jordan first. Please any insight will be helpful. Hi, it looks like a fairly circular route (Amman > Petra > Wadi Rum > Red Sea > Jerusalem > Tel Aviv or vice versa) which is straightforward in either direction, so I would base it on where you can get the best flight times and prices into and out of as there doesn’t seem to be much to choose between the two directions. Hope you have a great trip! Thanks for all the information, its extremely useful. I’m planning to go on a family road trip across Jordan, starting from Amman and covering Jerash, Ajloun castle, Petra, Dead Sea, Wadi Rum and Aqaba across seven days. I would like to hire tour guides, but only at the respective destinations. I’m currently only finding tour guides with full service, like transportation and entry fee. We’d like to drive to each of these destinations on our own, purchase an entry ticket (or use our Jordan Pass) and only pay for a guided tour of the location by an English guide for the entire group. 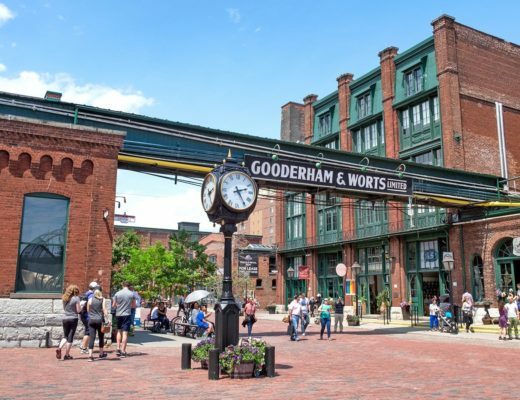 Is there a visitor center at each of these locations so we can hire a tour guide? Hi, there are visitors’ centres at Petra, Wadi Rum and Jerash so you should have no problem hiring a guide at any of them. Aljoun Castle is a lot smaller so there may not be guides available. There’s not really a central visitors’ centre for the Dead Sea but you can easily do that yourself – either staying at one of the hotels there or visiting one of the public beaches. Similar with Aqaba as it’s a beach resort. Thanks for the quick response, Lucy. Will keep that in mind. Hello, this is very informative. I do have a few questions. I fly into Amman late on a Thursday Night. I would like to get to Petra so I can have an early start Friday morning. I am thinking about renting a car. Is this wise since it would be at night? I’m torn with staying in Amman or Petra. I would like to also visit the dead sea. I only have 2 days. I fly out Saturday. Please help I am at a complete lost at what to do. Hi, renting a car definitely makes things a lot easier – I wouldn’t do the drive at night though as there are a lot of speed bumps on the roads, so you may be better off picking up your car on Thursday night staying overnight in Amman near the airport and leaving really early in the morning – that was you can be at Petra fairly early still and can have the day/evening and the next morning there. Brilliant blog. Planning to visit next week. Hey, what day is busier – Sunday or Monday? 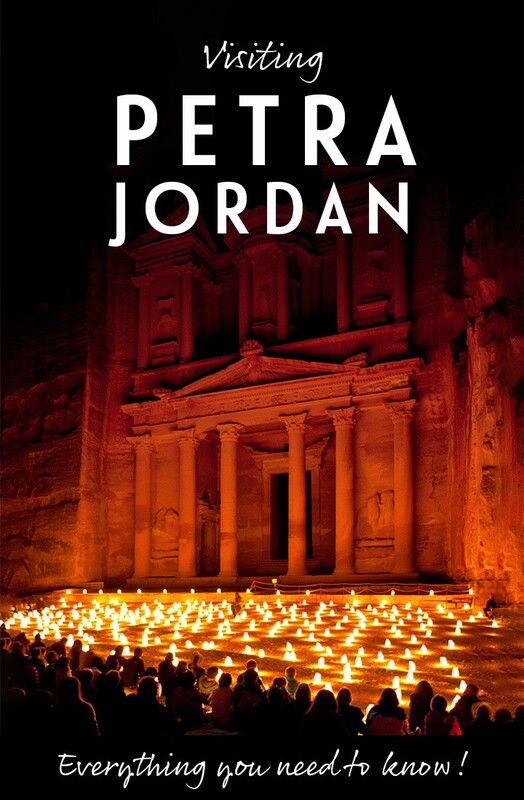 I guess Sunday because it is a weekend but maybe Monday is more because of the Petra by night? I am planning to go end of March so i guess it will be anyway crowded 🙂 but still, as i have both options i would choose one which is less crowded. Hi, Monday is apparently one of the quietest days of the week but Sunday isn’t too bad either (Friday/Saturday are the busiest). We found the driving in Jordan to be fine – other than a bit hectic in Amman but that was more due to the huge number of roundabouts and us getting lost! The roads weren’t too busy either. Great post! I will visit Petra in April with four other friends and we want to hike up Mount Aaron. I read that a guide is needed for that. Do you have any recommendation on where to book such a guide and do you know what it might cost? Hi you should be able to book a guide at the Petra Visitors’ Centre – I’m not really sure about prices but have seen 100 JD quoted. I stumbled across your blog as I was doing some research on planning a trip to Petra. Thank you! In September I’m planning to walk part of the Jordan Trail from Dana to Petra (5 days). Do you recommend staying a couple of days in Petra itself? I would like to fit in seeing Wadi Rum, Aqaba and the Dead Sea. Is that itinerary doable in 10 days? Hi yes that should be doable in 10 days as the distances aren’t to great – I’d stay at least one night in Petra so you can get a full day there, and if possible do the Petra by Night tour as it’s really spectacular.